Keep it classy, fellows. Nothing like a conversation about ethics and the existence of the divine. Super excited to see this movie about my hometown hero. Growing up in a parochial community in a declining city, Divine was our local movie star: fearless, gorgeous, and indestructible. Though deceased for many years, she remains my north star. Wow! It’s as if Divine went to the gym, in Italy. Thank you, Hard Ton. Can’t wait to see this new documentary about my hometown goddess. 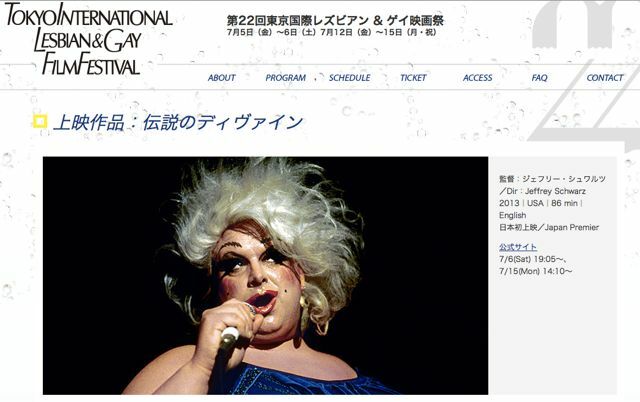 It’s lovely to see the 20th century film filth goddess revived to promote self-expression and tolerance in the I am Divine Foundation. When did Mink Stole become an upper class lady? Also appearing are John Waters and some of RuPaul’s Drag Race performers. A tribute to the 20th Century’s greatest movie star, Divine!